With Same Day Approvals, why settle for Less Boat or RV? With nearly 30 years of industry experience, we'll help get you into the right boat or RV for less than you think. While most lenders will not finance boats older than 10-15 years, we will arrange financing back to the 1989 model year subject to marine survey. 30 years of yacht and boat financing experience. 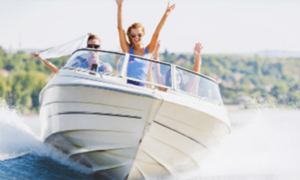 We are your professional loan source for boats and recreational vehicles. Whether you're purchasing a dream motor-home for the road, or motor-yacht for the seas, let Marine Banking Services help make those dreams a reality. Leveraging our knowledge of the boating and RV industry. Working with buyers to insure they make the right purchase. Constantly looking for better rates and borrowing partners for our clients. Years ago, finding a lender that made boat loans was difficult. Today, the more difficult task may be to decide which boat lender to go with. Call us today, and you'll see how we can make that decision the easiest one yet. Experience — Knowing the boating industry in and out. Customer Focus — Helping clients throughout the lending cycle. Integrity — Taking on every decision, as if it were our own. Selecting the correct boat or RV loan is an important decision in the purchase process. A great place to start is right here. We can show you how each of the options will fit into your profile. This will give you the ability to find the loan that fits you best. Then you can concentrate on the important stuff – like your first trip to the water. Take advantage of the low interest rates while they last! By purchasing now, you will take advantage of historically low interest rates. Call us for a quote on a boat of interest. 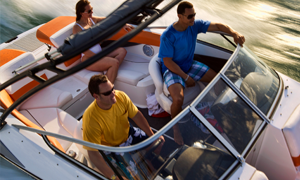 Brunswick announces Sea Ray to no longer build yachts over 36 feet. "Perhaps the most experienced finance & management team in the industry." "They do give a boater a nice broad selection of options to choose from." "We heard all great news from past clients... that's why we selected them." 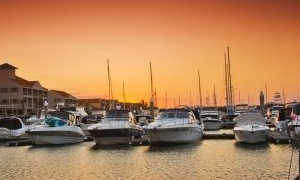 Marine Banking Services is your professional loan source for all boat and recreational vehicle financing. Whether you are purchasing a dream motor-home or motor-yacht to cruise the land or seas, let Marine Banking Services help make those dreams real. Call today, for same-day approvals. Send us your email address, and we'll send additional information on rates, dealers and brokers in your area. Thank you for your email, we will be getting an email response shortly.